Real Estate | Stuart & Maury Realtors - Bethesda, Chevy Chase, Washington D.C. Real Estate Experts About Stuart & Maury Realtors Inc. - Stuart & Maury Realtors Inc.
About Stuart & Maury Realtors Inc.
STUART & MAURY, INC., REALTORS was founded in 1956 by Deane Maury, William C. Stuart III and Charles T. Berry and continues to serve the Washington, DC Metropolitan area with distinction. 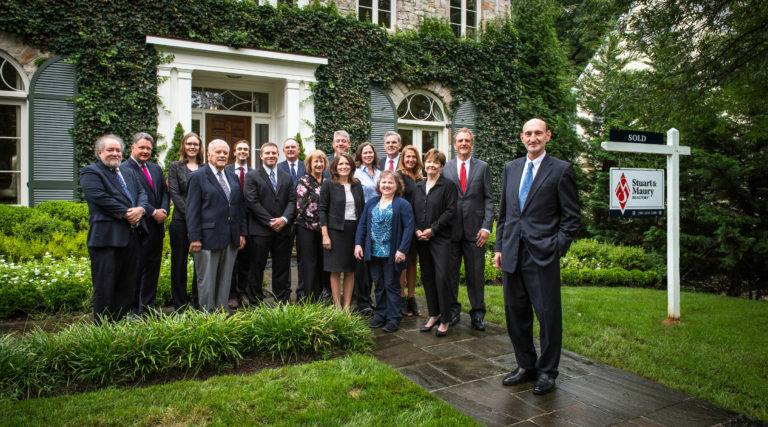 The company’s sterling reputation for consistently providing professional, expert and personalized service to its clients has earned Stuart & Maury its well-deserved position of esteem among the premier firms of the Washington area real estate industry. Robert Jenets, President and Principal Broker, joined the firm in 1989 and has been one of the top selling real estate agents in Montgomery County for decades. Bob became a Vice-President of Stuart & Maury in 2008 and has long been involved in management and personnel decisions. Bob entered the residential real estate field in 1984 and immediately earned Rookie of the Year honors for the large company where he began his career. He long ago earned his place as a Life Member of the Sales Club of the Greater Capital Area Association of Realtors for his work in Montgomery County and the District of Columbia. In 2014, Bob became President of Stuart & Maury. Matthew Maury, Associate Broker, has continued the high standards of real estate practice associated with the Maury name, as established by his father and grandfather before him. Since obtaining his real estate license in 1981, Matthew Maury has sold more than $750,000,000 worth of real estate. He has been honored as a Life Member of the Montgomery County Association of Realtors Sales Club and has obtained the Association’s Gold and Platinum sales awards. On multiple occasions he has been named one of the Top Five Individual Sales Associates in the Greater Capital Association of Realtors. Susan Bader, Property Manager, has served as coordinator for the property management department of the firm since 1982. A fully licensed Realtor with licenses in both the District of Columbia and Maryland, Susan has earned a position of respect within the industry for her integrity, competency and professionalism. Anne-Marie Weeks, Property Manager, moved to this firm in November 2017. Anne-Marie brings with her over 10 years experience in property management and prides herself on the focus and attention she gives to both the homeowner and the tenant. She makes your priorities, her priorities. For more information, contact one of our professional associates at (301) 654-3200. Our fax number is (301) 656-6182 or contact us via e-mail at agent@stuartandmaury.com.